The United Kingdom is free to revoke unilaterally the notification of its intention to withdraw from the EU," the court said. Europe's top court ruled Monday that Britain could halt Brexit without the approval of fellow EU member states, in a victory for pro-Europeans on the eve of a key House of Commons vote. 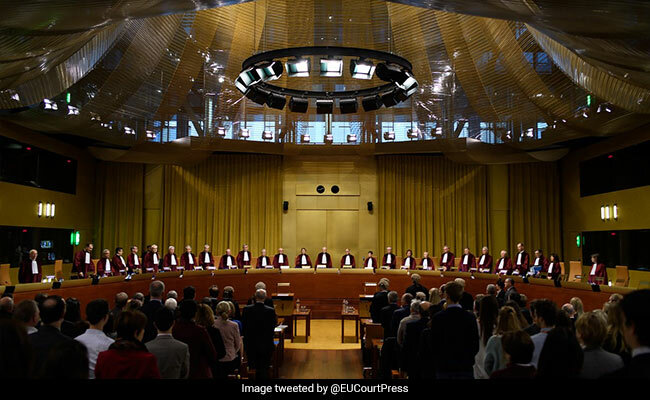 "The United Kingdom is free to revoke unilaterally the notification of its intention to withdraw from the EU," the European Court of Justice said, in response to a suit from a group of Scottish politicians. "Such a revocation, decided in accordance with its own national constitutional requirements, would have the effect that the United Kingdom remains in the EU under terms that are unchanged as regards its status as a member State," the court ruled. Following a 2016 referendum, Britain declared its intention to quit the European Union on March 29 last year, triggering the "Article 50" EU treaty procedure that would see it definitively leave two years later, on the same date next year. British Prime Minister Theresa May's government insists it has no intention of halting the process and has agreed a draft withdrawal agreement with the 27 remaining member states. The withdrawal agreement is expected to go before the British parliament for approval on Tuesday. If, as appears likely, it is rejected it would raise fears that Britain could crash out of the union on March 29 without a deal or that it could revoke or postpone Brexit in order to hold another referendum. The court's ruling will be welcomed by campaigners for a second referendum, but May's government insists it has no intention of reversing course, whatever the court in Luxembourg might say. "We don't want to stay in the EU. We voted very clearly," Environment Secretary Michael Gove, an influential cabinet Brexiteer, told BBC radio. "This case is all very well but it doesn't alter either the result of the referendum or the clear intention of the government to leave. "It's the intent of the government to honour that referendum mandate."